There hadn’t been any roses since 2005, the last year Ed was single. And this year there were two… symbolic, somehow. 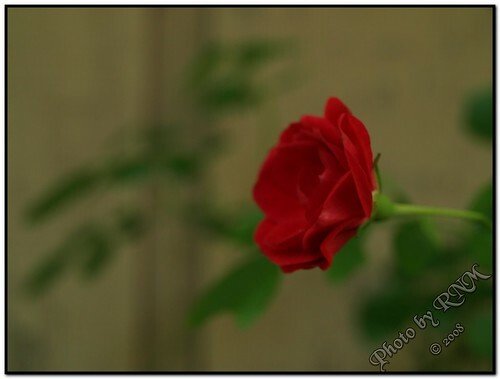 This entry was posted in Flashback Friday, Love and marriage, Photography, Trip down memory lane on May 23, 2008 by ramblingsbyreba. 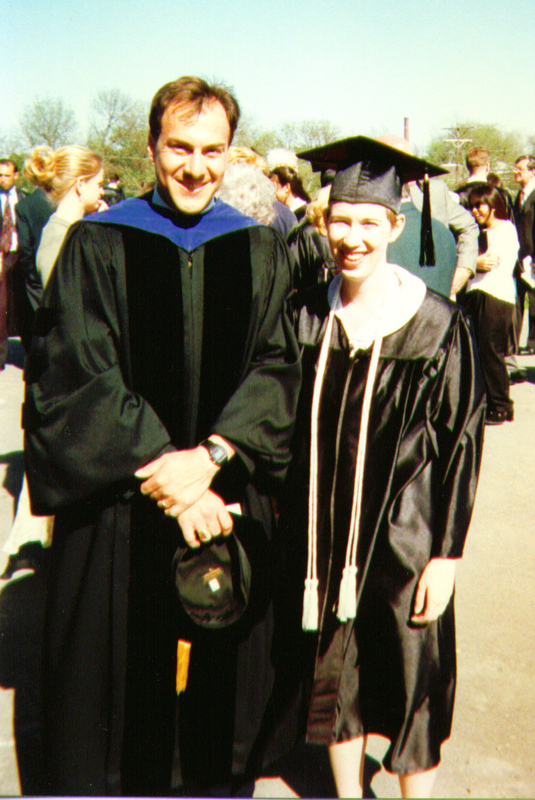 I graduated from college on May 11, 1997, 11 years ago this Sunday. It was Mother’s Day that day, just as it’s Mother’s Day on this May 11. I was so very happy. I’d graduated with honors. My parents, sister, and grandmother were there. I’d DONE it. I was so very sad. I remember seeing a friend with whom I’d interned the previous year waiting to take a photo of his daughter, a classmate, before Baccalaureate, and seeing him again when I was walking into Commencement. My friend Mike, my best friend from childhood, and his wife, who were celebrating their first anniversary, waved at me from near the back of the auditorium. My family, with my dad on the aisle, all looked so proud. We had a small reception in my parents’ hotel room. Only one family was able to come. I knew it wasn’t personal — it was graduation day and Mother’s Day and Mike and Maria’s anniversary, after all — but I was so sad. I remember curling up in my mom’s lap and crying and crying and crying. After awhile, I went back to my room — on a VERY empty hall — and finished packing. The resident assistant came by to check on me. I was in bed by that time, so she tucked me in. 🙂 I cried again. The next morning, I took one last “lap” around campus, took a few more pictures, and with mom next to me in the car, drove away from campus, something I’d sworn for weeks I wouldn’t be able to do. I was proud of myself. Read other Friday Flashbacks here. And post your own. It’s fun! 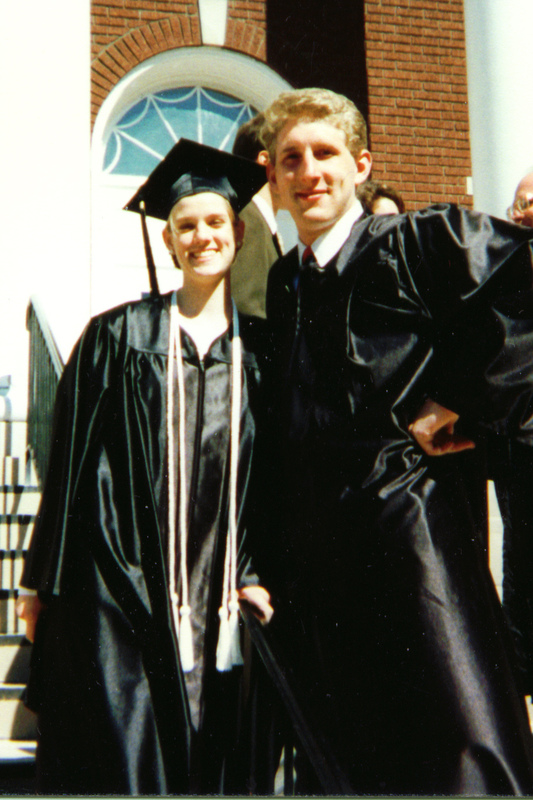 Bryan and Leslie (taken after Baccalaureate). They’d been married almost a year at this point. My favorite professor, Dr. Michael Longinow, and me. 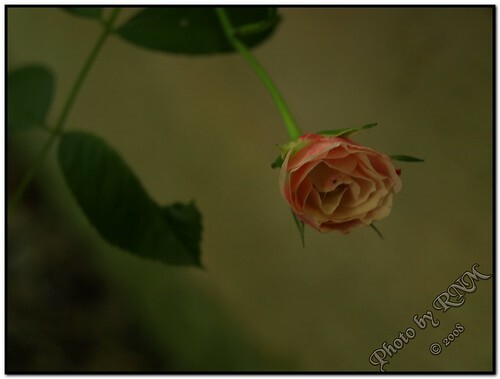 This entry was posted in Flashback Friday, Trip down memory lane on May 9, 2008 by ramblingsbyreba.